A new collection of poems from professor, playwright and author Chalet Jean-Baptiste explores themes of resilience and rebirth after adversity. In ReLive, published August 14, 2018, Jean-Baptiste addresses her own struggle to find new life after a series of traumas brought her to a low point. Contemporary topics from the Me Too and Black Lives Matter movements are discussed, with an undercurrent of hope as the author finds victory over her demons. 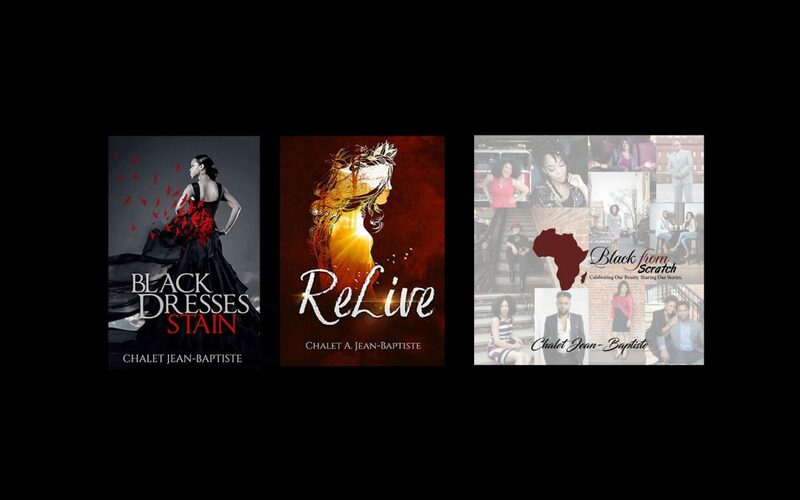 Jean-Baptiste’s first publication, Black Dresses Stain is a novel exploring many of the same themes. Originally published in 2006 and re-released this year, the book follows the stories of different women as they each struggle with and overcome insecurities, obstacles and pain. Both books pull from Jean-Baptiste’s own experiences that are all too relatable for women today. Raped at 13 and confronting a series of injustices as a black woman seeking to find her place, the author rose above adversity to a successful career as a writer at a financial firm, then a college professor. She was thriving, providing a good life for herself and her children. Then one day, she had caught her husband in bed with another woman and was facing a felony charge after the resulting fight. She spent some hours in jail and, upon release, sat contemplating the part of her that was lost. It was then, Jean-Baptiste says, that a part of her died. “In discovering this death, I began searching for life,” she said. “In this new life, I defined my identity, my worth, my ability… that my black is beautiful.” Through her writing, Jean-Baptiste illustrates how women everywhere can start over a fresh life after loss, trauma and pain. A third book Black from Scratch, set to launch in November, is a compilation from more than 70 contributors, exploring the strength and resilience of the Black story. It celebrates roots and history of kings and queens from Africa to the Caribbean and America, similar to Jean-Baptiste’s own amazing story. The author holds an MA in English from Long Island University and an MA in Communications from New York Institute of Technology, and is pursuing a doctorate in Writing and Rhetoric at George Mason University. In 1999 at the age of 19, she wrote and directed the Off-Broadway production The Sound of Love’s Fire, and in 2005, wrote, directed and produced the film short Boots. She currently holds a position as an Associate Professor of English at Northern Virginia Community College and is co-director of WISE, a mentoring program for young women in leadership. ReLive and Black Dresses Stain are available in paperback for a price of $14.99. Black from Scratch will be sold for $45.99.